Here's a closer view of the darling zebra cupcake. 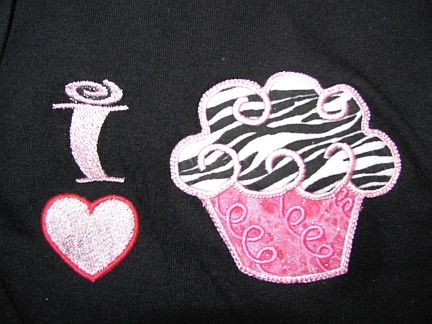 The cupcake paper features glittery pink fabric. Adorable!